Martial law had been in effect in Thailand for quite some time by that point, but I was a little caught off guard to hear people suddenly mentioning a curfew after the workout, and others dropping the word "coup". "I thought it wasn't really a coup though? The martial law?" "Well, as of about two hours ago, it's an official coup!" They then suggested I get back to my hotel as quickly as possible, and they told me they were closing up the gym early - even cutting off the last class to get them out the door as quickly as they could. I was completely shocked! I hurriedly grabbed some street food on the way back to the hotel, as well as a few snacks from 7 Eleven, just in case, and rushed back to the room. Only a few minutes later, Jimmy rushed in breathless, having rushed through his dinner with his friend to make it back via the SkyTrain before it shut down early. Sometime during our cab ride from the airport, the Thai military had taken over the country. So what did that mean? 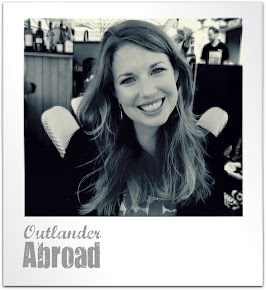 Well, it didn't actually affect us very much, aside from limiting any social activities during our time in Bangkok. 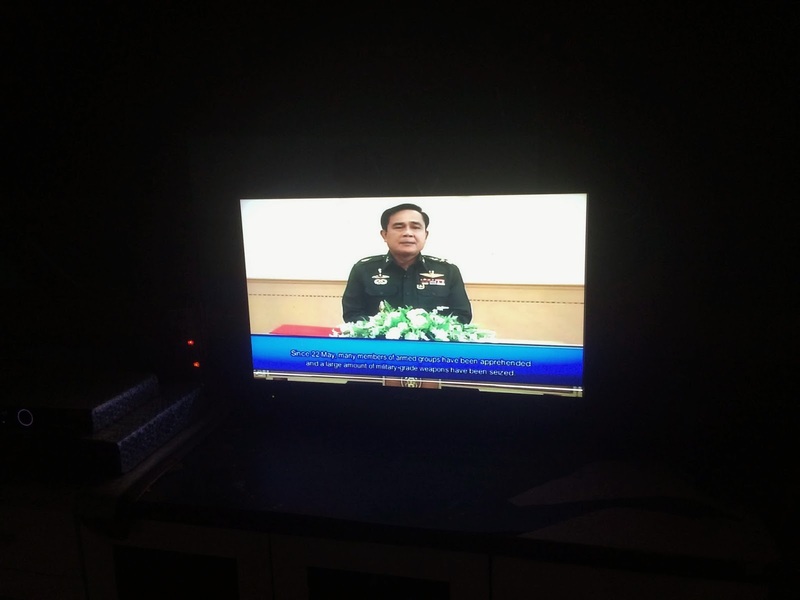 Almost all the TV channels were off the air, leaving a simple bulletin from the "National Peace and Order Maintaining Council" and the Thai anthem playing in place of any programming. Businesses closed early to allow their employees time to get home before curfew, which meant we couldn't get our nightly foot massages. 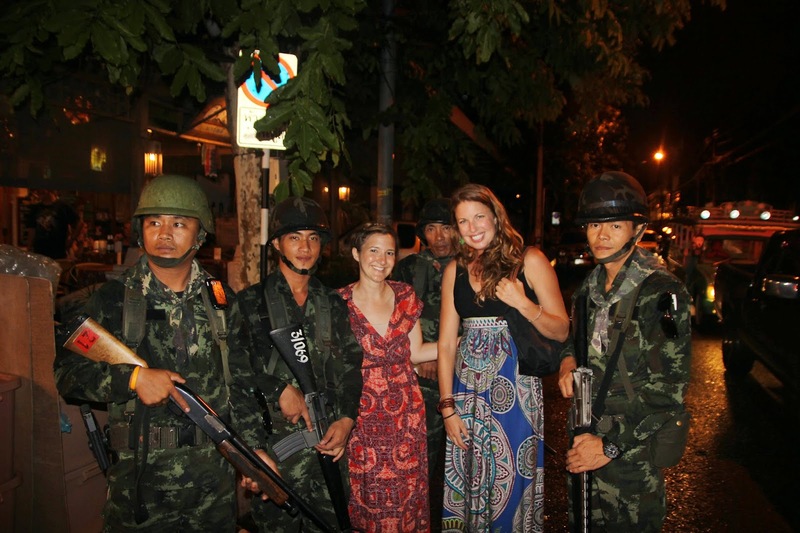 But being in the heavily ex-pat area of Sukhumvit, we didn't actually see any military presence. And even the curfew didn't seem like such a big deal to plenty of other local businesses - some of the restaurants and bars stayed open, though with much smaller crowds. It really did seem like business as usual for the most part. It did make dinner plans a bit more challenging, and I went to the gym a bit earlier than usual, and we didn't venture too far from our little neighborhood, but otherwise, we were fine. We spent most of one day hanging out at nearby mall Terminal 21, taking in the new X-Men: Days of Future Past movie, which included a (very long) tribute to the Thai King before the movie started - the entire audience stood out of respect. I also discovered a delicious little ice cream shop called Jaiyen, just around the corner from our hotel, with amazing flavors and inventive presentations that I'll be sure to revisit whenever I return. And of course Jimmy and I had a farewell meal, just down from the hotel - a hot pot and an incredibly flavorful grilled whole fish (salted and stuffed with various herbs) - to wrap up our time in Bangkok as well as our time traveling together. Once I ventured north, I headed straight to the Elephant Nature Park, so we were again not exactly affected by the curfew, and we noticed that some regularly scheduled TV programming was back online, as a few of our guides would watch a Thai soup opera of sorts each night. The curfew was reduced while we were at the park, and not long after it was eliminated entirely in the touristy areas of the south. 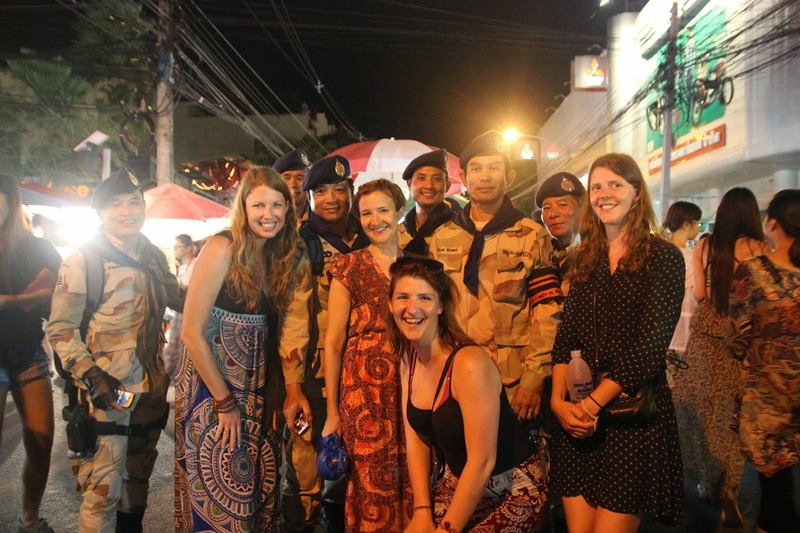 Once we were back in Chiang Mai, the curfew was still in place, and we actually saw quite a bit of military presence around the Old City, but they were overwhelmingly friendly, posing for pictures with tourists (and taking a few selfless themselves!). Eventually, the curfew was eliminated entirely, and things seemed to continue on as normal, though I did hear rumors that the military were conducting raids on communities of illegal immigrants - forcing them to return across the border (though of course, these rumors I can't confirm as truth). For the most part, the country just continued on without hardly taking a pause. While it didn't wind up affecting us very much, it was certainly an interesting (and surprising) cultural event to witness!